Heeney, W.J. (2015). Platydema violaceum (Fabricius) (Tenebrionidae) discovered in South Lincolnshire. The Coleopterist 24(1): 16. Wright, I. (2015). Platydema violaceum (Fabricius) (Tenebrionidae) new to Oxfordshire (VC 23). The Coleopterist 24(1): 17. Sage, B. (2006). 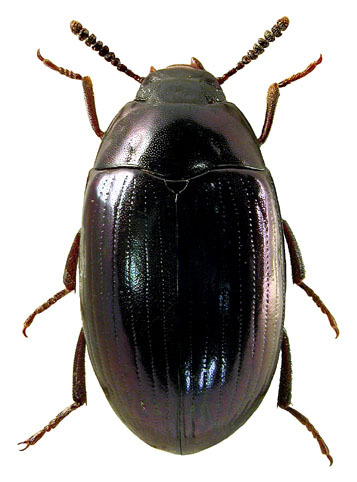 Platydema violaceum (Fabricius) (Tenebrionidae) discovered in Norfolk. The Coleopterist 15(1): 50.